The Administration’s 2020 budget proposal includes significant changes in federal employee retirement programs. Most of the changes are cuts, with one exception. Analytical Perspectives, Budget of the United States Government, Fiscal Year 2020, released Monday, fleshes out last week’s basic budget proposal, but still lacks specific details on many key provisions. The first three changes cannot be characterized as anything other than cuts. Reducing the G Fund interest rate is not a popular idea. The Federal Retirement Thrift Investment Board – the agency that manages the Thrift Savings Plan – says, “We strongly oppose this change – it would make the G Fund virtually worthless for our participants ….” Federal employees and retirees should not get too worked up over this one — the likelihood it will pass is low. Increasing the employee contribution for FERS amounts to a pay cut. Reducing the COLA for CSRS and eliminating them for current and future FERS retirees is a significant cut, particularly because it affects current retirees. As a current federal retiree, I may be a bit biased, but I believe changing the rules after someone has spent decades working for the government and is now near retirement or what has already retired is a breach of trust. Much like private sector retirees who have lost pensions after their pension funds were raided by new company owners, federal employees and retirees should be assured that what they were promised will be delivered. Most Americans believe a deal is a deal, and changes should affect only those who sign up under new terms. Even those on the Hill who support this type of change often agree that changes should be prospectively and only affect new hires. The fact that even with this change there would most likely be a continued push to reduce or eliminate the FERS pension makes this a change that should not happen. The better approach is to have a serious policy debate regarding retirement benefits for new hires. The new proposal for term employees recognizes the fact that term employees are hired for 4 years, but do not vest in the retirement program until after 5 years. That means the defined contribution plan is of little or no benefit. Term employees do not vest if their term service is their only federal employment. The proposal is to offer them an enhanced version of TSP with a larger employer matching contribution, but to drop the pension component of the Federal Employees Retirement System (FERS). It appears to be based on options provided in an August 2017 report from the Congressional Budget Office that explored options for reducing retirement costs. The knee-jerk reaction to any kind of retirement system change is to say no, but I believe this is an interesting idea that is worth considering. How it fares on the Hill will be based largely on how it is viewed. If it is considered solely as a means of providing a retirement benefit that is more closely aligned with the characteristics of a term appointment, it should receive a positive reception. If it is viewed as a slippery slope that will lead to expanding the program to all current employees (or even just to all new hires) as a replacement for the FERS pension plan, it will probably fail. Most objective observers will agree that federal retirement benefits are more generous than in the private sector, which has largely moved away from defined benefit pension plans due to cost. As I have said many times, the government should not join the crowd and harm the retirement security of its employees. Retirement security is a significant national issue that does not get enough attention. Most Americans do not have enough retirement savings and are entirely too reliant on Social Security when they retire. Retirement changes that push the most experienced and qualified employees out the door should be avoided, but the CBO offered two options that may be worth considering. 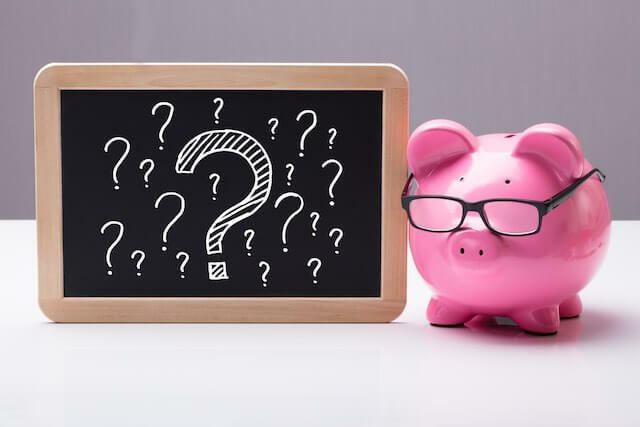 Rather than changing the rules mid-career for existing federal workers, or post-retirement for existing retirees, the CBO Report options would eliminate the pension plan entirely for new hires and put money into a greatly enhanced Thrift Savings Plan. The enhanced TSP would be similar to what the Administration has proposed for term employees. Current IRS rules allow the combined employee contribution/employer match to be as much as $56,000 per year. Employee contributions are limited to $19,000, with an additional $6,000 catch up employee contribution allowed for those over age 50. That means most federal employees cannot come anywhere close to the $56,000 annual cap. Retention of mid-career employees is likely to be a problem regardless of changes to the retirement system. Career mobility is far more common in younger employees, and most do not go to work for an an employer with the idea of staying for 30 years. Government lacks many of the pay incentives that the private sector offers, such as stock or stock options. It also does not pay its higher graded employees wages that are comparable to the private sector. For a generation of new hires that most likely are not viewing government as a lifetime career, a very generous TSP could be a significant recruiting tool.